“Omigosh—we’re doing this song again! ?” Yes. Yes, we are. I have to regularly remind my team (and myself) of this truth: When we start getting sick of a song, that’s just about the time the congregation is catching on. 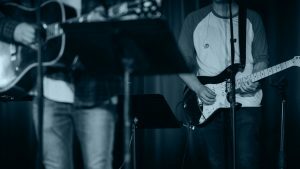 Between personal practice, rehearsals, soundchecks and multiple services, we sing and play these songs 10 – 20x more often than the average Joe or Jane in our congregations. So that puts us in a predicament: We can continually introduce new songs to keep things fresh for us on the worship team. Or, we can stick with the same rotation of songs week after week and month after month (year after year), so the congregation knows them well. So I’m oversimplifying a little. 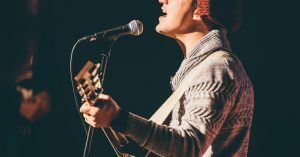 But it’s a dilemma worth talking about: the longer we rotate a song, the more the average worshiper can sing it from the heart, and not just sing it from the screen. But in that same amount of time that it’s taken that song to start connecting with the congregation, it’s becoming passé on the platform. So it’s a legitimate question: Can we genuinely worship with songs that we just don’t enjoy anymore? The simple answer to that is yes. But we as leaders and worship team members can do a few things to keep from getting cynical about certain songs. If we view our songs as tools to serve the congregation and help us worship God, it can help us keep a healthy perspective. Think about the craftsman who swings the same hammer day after day. He knows it. He uses it for a desired purpose. He’s not enamored with the hammer, but by what he can create with it. 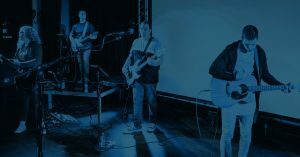 When we fall into the trap of having to be fulfilled or “moved” by every song we lead, we’re going to frustrate our congregation (not to mention create a boatload of new-song-learning for the team). Too often with our songs, familiarity breeds contempt. Or at least apathy. 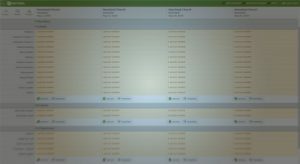 After awhile, we can phone-in songs or just plow through them on autopilot. But what does that say about us as lead worshipers if we’re yawning our way through a song that extols the power of the Most High God? Ditch the music and spend a little time with just the lyrics of a song that’s not “moving” you any longer. Pray them. Study the scriptures that inspired them. 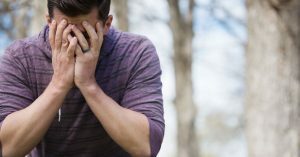 It could help you find that worshipful connection again that you’ve been missing. Our private worship time is more important than what we do on the platform. So use those newer songs that you love right now to fuel your personal worship moments. And those songs may never make it into the corporate worship rotation. And that’s OK.
Maybe an aging song needs a musical facelift. Consider rearranging or reimagining it musically to make it fresh for the team. Just don’t stray so far from the original that the congregation doesn’t connect to it. There does come a point when a song runs its course. When disconnection with the congregation begins to occur, it’s time to give the tune a long break or retire it indefinitely. It’s easy to worship with 72 BPM modern worship anthem (guaranteed to get every hand in the air by the bridge). But what about a bouncy, early 20th-century hymn that sounds like it came from an amusement park carousel? Or a 90s praise chorus that sings like laundry detergent jingle? Or that one particular tune your congregation just LOVES and your team just LOATHES? What do you do then? It’s not about faking it. It’s about a conscious choice to die to self and enter into worship. We’re here to worship God and serve others by encouraging them to worship. It’s not about you or me. One final word, lest you think I’m saying that the popular consensus of the congregation rules your song selection. As a worship leader, you are the shepherd of your church’s songs. 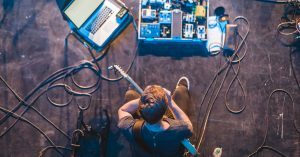 You are the one who determines which tunes come into the fold and which ones get “put out to pasture.” Your goal shouldn’t be to make your set lists as hip as possible. But it also shouldn’t be to keep the status quo. 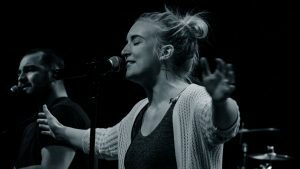 We’re called to sing new songs (Psalm 33:3), but we shouldn’t let go of the thread that connects us with our heritage. If you want to dig more into the concept of song selection and rotation, check out my book, The SongCycle: How To Simplify Worship Planning and Re-Engage Your Church (available on Amazon). 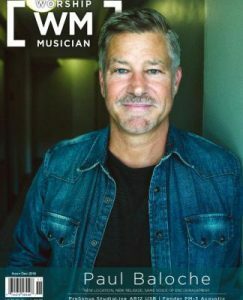 This article originally appeared in the November/December 2016 Worship Musician Magazine. You can read it (and a whole bunch more killer articles) here.